Hillary Rodham Clinton (born October 26, 1947) is currently serving as the 67th Secretary of State in the Obama Administration. She was a Senator for New York from 2001 to 2009, and ran for the Democratic Primaries in 2008. She was the First Lady of the United States from 1993 to 2001 as wife of President Bill Clinton whom she married in 1975. Hillary Clinton was born Hillary Diane Rodham to Hugh Ellsworth Rodham and Dorothy Emma Howell in Chicago, Illinois on Oct. 26, 1947. She has two younger brothers, Hugh Rodham and Tony Rodham. Her parents, who were United Methodist's who moved the family to Park Ridge, Illinois when Hillary was three-years-old. Her father operated a small business in the textile industry while her mother was a homemaker. Growing up in a politically conservative household, Hillary began working for the Republican party from the age of thirteen. However during her college years, prompted by events such as the Civil Rights Movement and the Vietnam War, she changed her political views by the late 1960's. She left the Republican Party for good in 1968. Hillary majored in political science at Wellesley Collge in 1965 before entering Yale Law School where her research focused on children and the law. In late Spring, 1971, Hillary began dating Bill Clinton who was also studying law at Yale. In 1974, following repeated requests from Bill Clinton to marry him, Hillary accepted. They were married on Oct. 11, 1975 in the Rodham's living room. On February 27, 1980, Rodham gave birth to a daughter, Chelsea, her only child. Hillary Clinton grew up as a Goldwater Republican, like her father, in the middle-class Chicago suburb of Park Ridge. By the time she was a freshman at Wellesley, when she was elected president of the College Republicans, her concern with civil rights and the war in Vietnam put her closer to the moderate-liberal wing of the GOP led by Nelson Rockefeller. By her junior year, she had to be talked by her professor into taking an internship with Rep. Gerald R. Ford and the House Republican Caucus. In her senior year, she was campaigning for the anti-war Democrat Eugene McCarthy. "I sometimes think that I didn't leave the Republican Party," she has written, "as much as it left me." 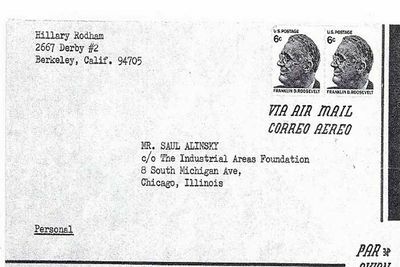 The senior thesis of Hillary D. Rodham, Wellesley College class of 1969, was on the work of Chicago radical Saul Alinsky. The Clintons who asked Wellesley in 1993 to hide Hillary Rodham's senior thesis from the first generation of Clinton biographers, according to her thesis adviser and friend, professor Alan H. Schechter, who describes taking the call from the White House. "A stupid political decision." Wellesley's president, Nannerl Overholser Keohane, approved a broad rule with a specific application: The senior thesis of every Wellesley alumna is available in the college archives for anyone to read -- except for those written by either a "president or first lady of the United States." So far, that action has sealed precisely one document: Hillary Rodham’s senior honors thesis in political science, entitled " ‘There Is Only the Fight...’: An Analysis of the Alinsky Model." "There is only the fight to recover what has been lost and found and lost again and again." Hillary Rodham served a:) clerkship in 1971 at one of America's most radical law firms, San Francisco based Treuhaft, Walker and Burnstein. One partner at the firm, Doris Brin Walker, was a lifelong Communist Party USA member at the time. Another partner, Robert Treuhaft, had left the party in 1958, several years after being called before the House Un-American Activities Committee and labeled as one of America's most "dangerously subversive" lawyers. The Oakland-based firm was renowned for taking clients others rejected as too controversial, including Communists, draft resisters, and members of the African-American militant group known as the Black Panther Party. The other partner Malcolm Burnstein, maintained a lifetime commitment to radical causes. The firm was involved in a volatile Black Panthers case the summer Mrs. Clinton worked there: the trial of Huey Newton for the 1967 killing of an Oakland police officer. Treuhaft represented a Newton associate whose role in the trial may have helped Newton win a series of mistrials and, eventually, the dismissal of all charges related to the officer's death. Partners at the firm said it was likely Mrs. Clinton also worked on politically sensitive cases involving a Berkeley student activist denied admission to the California bar over incendiary rhetoric, Stanford physician interns fighting a loyalty oath at the Veterans Administration, and men claiming conscientious objector status to avoid being drafted and sent to Vietnam. Mrs. Clinton's only public recollection of her work at the Treuhaft firm is that she handled a child custody matter. Mrs. Clinton's most vivid memories from that summer may be personal ones that have nothing to do with the law firm with which she clerked. A fellow Yale law student, President Clinton, shared the Berkeley apartment where she was staying. The pair soon got serious and would move in together when they returned to New Haven that fall. Mrs. Clinton's decision to work at the Treuhaft firm was rooted in the turbulence, chaos and radicalism that buffeted Yale after she entered law school there in 1969. Most campuses saw their share of foment, but Yale saw more than its share in the spring of 1970 because of the impending criminal trial in New Haven of a Black Panthers' leader, Bobby Seale, and several co-defendants, for kidnapping and murdering another member of the Panthers. Many, including Yale's president at the time, doubted that Seale and other black militants could get a fair trial. As students prepared for a national student strike on May Day 1970, a suspicious fire broke out in the basement of a Yale law library. Mrs. Clinton has written about joining a "bucket brigade to put out" the library fire and about organizing round-the-clock patrols in the wake of the blaze. Ultimately, the May Day protest turned Yale into an armed camp, occupied by thousands of soldiers, but the event yielded little of the feared violence. That came three days later at Kent State University in Ohio when National Guard soldiers shot and killed four students protesting the Vietnam War. The Black Panthers' trial didn't actually begin until the fall. During the lead-up, Seale's attorney, Charles Garry of San Francisco, became a regular presence in the courtyards at Yale Law School. At some point, Treuhaft and his wife, Jessica Mitford, passed through New Haven and threw a party to raise money for the Panthers' defense. According to Gail Sheehy's biography of Mrs. Clinton, "Hillary's Choice," the future senator attended the Treuhaft-Mitford party. Many have surmised that this event laid the groundwork for Mrs. Clinton's clerkship at Treuhaft's law office. One of Treuhaft's partners, Malcolm Burnstein, said Mrs. Clinton's internship was arranged by a national student group. "She was sent to us by the Law Students' Civil Rights Research Council," Mr. Burnstein told the Sun. The group also paid Mrs. Clinton during her summer at the firm, he said. It is possible Mrs. Clinton selected the Treuhaft firm and then arranged funding through the council. That's how she set up her first law-school summer internship working with the future founder of the Children's Defense Fund, Marian Wright Edelman. Mrs. Clinton's only public recollection of her stint at the Treuhaft firm came in her 2003 memoir, "Living History." "I told Bill about my summer plans to clerk at Treuhaft, Walker and Burnstein, a small law firm in Oakland, California and he announced that he would like to go with me," she wrote. "I spent most of my time working for Mal Burnstein researching, writing legal motions and briefs for a child custody case." A review of some of Mr. Burnstein's legal files now at the archives of the University of California at Berkeley shows that the Treuhaft firm also handled two major cases in mid-1971 involving political dissent. One involved a protest leader who was elected Berkeley student body president, Daniel Siegel. Mr. Siegel passed his the bar exam in 1970, but his admission was blocked on grounds that he was morally unfit. He was criminally charged with inciting the 1969 "People's Park" riot, which left one man dead, others injured, and hundreds arrested. Mr. Siegel was acquitted of that charge, but bar officials said his statements prior to the riot and thereafter indicated he was not suited to be an attorney. They also asked him if he was a Communist, which he denied. Mr. Burnstein appealed the bar committee's rejection to the California Supreme Court, arguing that Mr. Siegel was being punished for his political beliefs. The court eventually sided with Mr. Siegel, who joined the bar in November 1973. Two other dissenters whose case was pending during Mrs. Clinton's summer at the Treuhaft firm were Peter Cummings and Peter Rudd. Both were medical students from Case Western Reserve University in Ohio who won internships at Stanford University in Palo Alto, Calif. On arriving at Stanford, they discovered they were required to fill out loyalty oaths to do a required rotation at the nearby Veterans Administration hospital. "It was the typical, 'Are you now or have you ever been a member of the Communist Party?'" Dr. Cummings recalled in a recent interview. He said he and Dr. Rudd were not Communists, but chafed at signing the oath. "I've always been very annoyed by and not a fan of this kind of loyalty oath," Dr. Cummings said. Through the American Civil Liberties Union, the pair became clients of Mr. Burnstein. In the ensuing legal challenges, which went before riders of the 9th Circuit Court of Appeals at least twice, the government argued that disloyal medical students might try to kill unsuspecting veterans who sought medical treatment. Mr. Burnstein prevailed and the loyalty oath for Veterans Administration doctors soon wound up as a footnote of history. As Mrs. Clinton left the Treuhaft firm in 1971, one of its partners was gearing up for the defense of a Communist and black revolutionary, Angela Davis, against murder, kidnapping and conspiracy charges stemming from a 1970 shootout that left a California judge dead. Ms. Walker became the resident Communist on Ms. Davis's legal team. "I was asked by the Party to participate in Angela's case," the lawyer said. 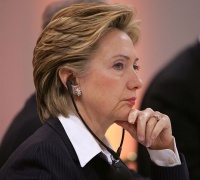 She said no one else at the law firm, including Mrs. Clinton, worked on Ms. Davis's case. At the trial, held in 1972 at San Jose, the Treuhaft firm's winning record held up again. A jury acquitted the polarizing African-American activist of all charges. By the time Mrs. Clinton arrived at the Treuhaft firm in 1971, its reputation as a defender of left-wingers and radicals was well established. Indeed, those at the firm assumed that reputation drew the Yale law student in. "She did want to work for a left-wing movement law firm. Anyone who went to college or law school would have known our law firm was a Communist law firm," Treuhaft told Ms. Sheehy in 1999. "This was an old-left, radical law firm," a staff attorney there during Mrs. Clinton's summer, David Nawi, said. "Treuhaft was suing the police and doing wonderful work with the black community in East Oakland before anybody else." A Yale Law student who worked as a clerk at the firm the summer before Mrs. Clinton arrived, Mary Nichols, said Treuhaft was open about his stint in the Communist Party. "Treuhaft, he himself was proud of having been a Communist at one time. This was not something that they hid in any way. They were not people stockpiling dynamite. They were a respectable law firm, but still you knew they had experimented in that kind of way," she said. Mr. Siegel, the Berkeley protester-turned-lawyer, said committed student leftists in 1971 would have viewed the firm's Communist connections as quaint, perhaps even conservative. "We almost universally thought Communist Party people were sellouts," he said. "People of my generation who were getting involved were Marxists, Maoists, even Trotskyists. The Communist Party was pretty unpopular, unless your parents were in it." The details of Treuhaft's membership in the Communist Party were not formally disclosed until 1977, when his wife, Jessica Mitford, published a humorous memoir of their years in the Communist ranks. In "A Fine Old Conflict," she reported that her husband signed up in 1943 and that she followed in 1944. Both left the party in 1958, she wrote. Ms. Walker joined the party in 1942. "I'm still a Marxist, and that's why I stayed in," she said. While many American Communists quit the party in disgust in 1956 following the Soviet invasion of Hungary and Nikita Khrushchev's denunciation of Josef Stalin's crimes, those events do not seem to have been the impetus for the departure of Treuhaft and Mitford, who stayed on for another two years. A journalist who edited a recently published collection of Mitford's letters, Peter Sussman, said the couple's falling out with the American Communist Party was driven largely by its unyielding bureaucracy. "She was bored with it," Mr. Sussman said. "It was ineffective. She had worked to reform it and that was unsuccessful, and to give the American party some autonomy from Soviet Communism." Mr. Sussman said Mitford, who died in 1996, was also "bitterly disappointed" about a decision the party made to cut ties with a group dedicated to resolving racial inequities in America, the Civil Rights Congress. A collection of Mitford's letters indicates that Republican political operatives knew about Mrs. Clinton's work at Treuhaft's firm months before the 1992 election, but apparently chose not to raise it despite her prominence in her husband's presidential campaign. In a July 4, 1992 letter to a veteran civil rights activist, Virginia Durr, Mitford wrote, "There was a v. long article in Vanity Fair by Gail Sheehy, an interview with Hillary in which every detail of her life from childhood on was explored — no mention of the internship in Bob's law office. Quite right, I thought, as obviously if that came out it would be prime meat for the Bush campaign." Mr. Burnstein said he, Treuhaft, and Ms. Walker agreed upon learning of Mr. Clinton's presidential bid not to talk publicly about Mrs. Clinton's clerkship because they anticipated it would become fodder for Mr. Clinton's opponents. "We expected it," Mr. Burnstein said. "We were very carefully not talking to the press back then. ... We did not want her being unfairly tarred with someone else's politics. Hillary's politics were not Bob's politics, which were not Doris's politics, which were not mine." "For Hillary to pick the most left-wing firm really at that time in the Bay Area, it's still a surprise to me that more hasn't been made of that," Ms. Walker said. "It was such an obvious thing for them to pick up, but they didn't, and I've never understood it." As Texas swung from a Democratic stronghold to an increasingly Republican and conservative state, Marxist leaning businessman Bernard Rapoport continued to support liberal Democrats and their causes, both with his money and his extensive national political connections. His contributions to George McGovern’s 1972 presidential campaign put Mr. Rapoport on one of President Richard M. Nixon’s enemies lists; contributions to the presidential campaigns of both Bill Clinton and Hillary Rodham Clinton helped nourish a 40-year friendship. Mr. Clinton was scheduled to deliver a eulogy at a memorial service in May 2012, in Washington DC. 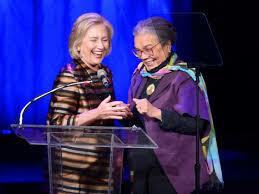 Hillary Clinton writes about her involvement with the Children’s Defense Fund, headed by Marian Wright Edelman, but omits any mention of the New World Foundation (NWF). Hillary followed Edelman’s husband, Peter Edelman, as chairman of the NWF. Mrs. Clinton chaired the group during a time, 1982-1988, when it gave grants to the Committee in Solidarity with the People of El Salvador, a front group for the communist terrorists; the National Lawyers Guild, a one-time-identified communist front; and the Christic Institute, an extreme left-wing group of lawyers which practiced “legal terrorism” against citizens, retired military and intelligence officials, and others who were perceived to be supporting the cause of freedom from communism in Central America. 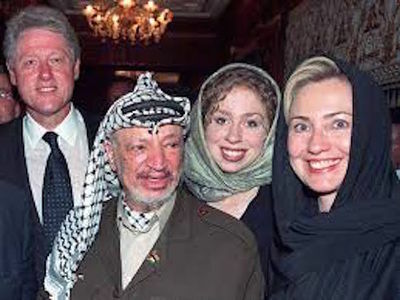 Hillary Clinton also took advantage of Bill Clinton’s radical connections, many developed in his trips abroad. Strobe Talbott and Bill Clinton had been Rhodes Scholars in England together, for example, and Talbott and his wife, Brooke Shearer, “became friends of mine,” she writes. Brooke’s brother, Derek Shearer, another Yale graduate, became a friend of Bill and pro-Marxist economic advisor to Bill Clinton. San Salvador, June 1 -- Nearly two decades after the end of a U.S.-backed war against El Salvador's rebels, a representative of the former guerrilla movement took power on Monday -- with a top American official applauding. Clinton, however, told reporters here that she expects "a positive relationship" with Funes, who is considered by many Latin Americans to be a moderate. Her visit signaled the Obama administration's effort to reach out to a more assertive Latin America altered by a "pink tide" of socialist victories in recent years. After meeting with Funes , Clinton told him: "The United States stands ready to assist you and your new government. This is a commitment President Obama and I share." "The secretary wants to engage Funes, because we don't want him moving all the way to the left," said Rep. Elio Engel (D-N.Y.), chairman of the House Foreign Affairs subcommittee on the Western Hemisphere, who was with the U.S. delegation. El Salvador has been one of the staunchest U.S. allies in Latin America, maintaining troops in Iraq until this year. Funes immediately signaled a departure from his predecessors, announcing the resumption of diplomatic ties with Cuba. Still, the new government is expected to maintain a strong relationship with the United States. El Salvador receives $4 billion a year from immigrants in Washington and other U.S. cities, and it sells half its exports to the U.S. market. In his inaugural speech at an amphitheater packed with men in red ties and women in red jackets, Funes hailed his two political heroes: President Luis Inácio Lula da Silva of Brazil, a moderate leftist, and President Obama. Some opponents of Funes had predicted he would cozy up to populist leaders in Venezuela and Nicaragua and introduce socialism. But the only revolution promised by the 49-year-old former broadcast journalist was one against corruption and poverty. Venezuelan President Hugo Chávez and Nicaraguan leader Daniel Ortega had been expected to attend, but did not. Cynthia Arnson, director of the Latin America program at the Woodrow Wilson International Center for Scholars in Washington, said the FMLN has a democratic track record, holding many mayor's offices and congressional seats in recent years. "The FMLN has been part of the architecture of representative democracy in El Salvador. El Salvador's resemblance to other countries in Latin America governed by the populist left are quite minimal," she said. Funes, however, will likely face pressure to shift further to the left from others in the FMLN, including his vice president, Salvador Sánchez Cerén, analysts said. Funes's inauguration was deeply emotional for many Salvadorans who suffered through the 12-year civil war, which left 75,000 dead. "We fought the battle so we could have this change," said Cecilia Hermin Navarro, 68, a tiny woman in a red shirt who said she was tortured by police during the conflict. "So many people died so this day could come," said Fernando Aguilar, a 28-year-old government employee. Clinton's presence, he said, "breaks the paradigm that the United States had in the past, that if the left wins, the U.S. closes the door." "The election of Dennis Kucinich in Ohio's 10th Congressional District was a ground-breaking event demonstrating the powerful political potential of a mass, grassroots coalition led by Labor. Then First Lady Clinton, Congressmen Louis Stokes, Joseph Kennedy and Barney Frank also helped out. "The coalition embraced many political viewpoints: Democrats, independents, Greens, socialists, Communists, members of the Labor Party, even some disgruntled Republicans. Democratic Party figures, including First Lady Hillary Clinton, Congressmen Louis Stokes, Joseph Kennedy and Barney Frank visited Cleveland to help in the effort." Hillary Clinton was on the list of 114 speakers (which included George Soros) at the 2004 Take Back America conference, which was organized by the Institute for Policy Studies, and Democratic Socialists of America dominated Campaign for America's Future. She was back in 2006, 2007. On April 1, 2008 Evelina Alarcon, Executive Director of Cesar E. Chavez National Holiday welcomed the backing for a Cesar Chavez national holiday from Presidential candidate Senator Barack Obama who issued a statement on Cesar Chavez’s birthday Monday, March 31, 2008. "We at Cesar E. Chavez National Holiday appreciate the backing of a national holiday for Cesar Chavez from presidential candidate Senator Barack Obama. That support is crucial because it takes the signature of a President to establish the holiday along with the Congress’s approval,” stated Evelina Alarcon. “It is also encouraging that Senator Hillary Clinton who is a great admirer of Cesar Chavez acknowledged him on his birthday. We hope that she too will soon state her support for a Cesar Chavez national holiday." 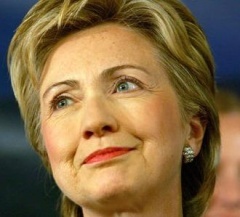 Less than a week after a Chinese Feng Yun rocket littered space with the remnants of their weather satellite, Hillary Clinton announced her intention to seek the Democrats' presidential nomination in 2008. She forgot to mention that when husband Bill was seeking the presidency, she ran with him, as an unofficial partner-president. "Two for the price of one!" was the slogan. The Clinton administration and his Democratic Party accepted massive campaign contributions from Loral Space & Communications, Hughes Electronics and other firms. Between 1993 and 1996, the administration allowed the export of ballistic- missile technology to Beijing. In 1996, Bill Clinton personally approved the launch of four communications satellites on Chinese rockets. Once Hillary captured her U.S. Senate seat, she received, in 2003, $10,000 from the New York state company, Corning Inc., which manufactures fiber optics. A month later, the senator announced legislation related to reducing diesel pollution that would benefit Corning with millions of federal dollars. Corning increased its donations and, by 2004, Hillary was attempting to persuade the Chinese government to relax tariffs on Corning's products. To get what she wanted, she involved the Chinese ambassador and President George W. Bush. As a result, Corning, a staunchly Republican company, held a fundraiser for her, resulting in thousands of dollars for her campaign. As Hillary Clinton campaigns, she will expect the usual adulation from union members who have forgotten that from 1986 until 1992 "their Hillary" served on the board of the dreaded Wal-Mart, the union-busting behemoth that does more business with China than all but four countries in the world. Then there is Hillary's good friend and relative-by-marriage, Sen. Barbara Boxer, whose husband Stewart is a board member of the China Ocean Shipping Organization. Barbara's colleague, Sen. Dianne Feinstein, is married to the owner of Newbridge Capital Corp., Richard C. Blum, who has made many millions in very lucrative deals with the Chinese government. July 2010's visit to Vietnam by US Secretary of State Hillary Clinton will be a great opportunity to renew and expand the US government's response to addressing the legacy of Agent Orange, said a senior official from the Aspen Institute, a Washington DC-based non-profit organization. At a news briefing on Agent Orange in Vietnam , which was held in Washington DC on July 15 by the Agent Orange in Vietnam Information Initiative, David Devlin-Foltz said that Clinton had been briefed on the declaration and plan of action for period 2010 to 2019 released by the US-Vietnam Dialogue Group. The plan calls upon the US government and other countries, foundations and non- governmental organizations, to provide an estimated 300 million USD over 10 years to clean the dioxin-contaminated soil and restore damaged ecosystems, as well as expanding services to people with disabilities and their families that are linked to the dioxin. Devlin-Foltz said he expected that the US officials will discuss the Agent Orange issue in private meetings with Vietnamese government officials. He said he hoped that the Secretary of State would encourage more involvement from the US government to see a more dramatic response to the Agent Orange problem as the relationship between both countries is improving. He added that members of the US-Vietnam Dialogue Group know there are real opportunities to work to contain the spread of the dioxin; opportunities to stop the dioxin entering the local food chain; ways of restoring damaged agricultural land and ways of providing effective rehabilitation services to people with disabilities, regardless of the cost. Also at the news briefing, Bob Edgar, a former congressman and currently head of the Common Cause organization in the US, said that he believed it was important to recognise that several senators, including Senator Tom Harkin, who was just in Vietnam last week, Senator Patrick Leahy and Senator Sheldon Whitehouse and others have stated that they recognise that wars do not end just when the last soldier leaves the battlefield. Edgar said that this is not only an opportunity for the US to both work to expand its partnership with the Vietnamese government, but also to work to address issues relating to Agent Orange in Vietnam. In 2007 Hilda Solis, current Secretary of Labor, endorsed Sen. Clinton for president and signed on to co-chair of the Clinton campaign’s Environmental and Energy Task Force and co-chair of the National Hispanic Leadership Council. Solis was joined by her friend and Democratic Socialists of America honorary chair, Dolores Huerta. Solis and Huerta had the honor of formally nominating Clinton for the Democratic primary. Between Feb. 2, 2008 and August 28, 2008, Megan Hull contributed $6,900 to Hillary Clinton's 2008 Presidential Nomination race. Stanley Sheinbaum has many influential friends on the U.S. left. His walls are adorned with framed photos with Fidel Castro, King Hussein, Barbra Streisand and other world leaders and A-list celebrities. Key political players such as Bill Clinton, Hillary Clinton, Jesse Jackson, Queen Noor of Jordan and former Sen. Gary Hart, have made the pilgrimage to his Westside salons in search of intellectual stimulation and money for their pet causes -- sometimes their own political campaigns. "Sheinbaum keeps the New Deal torch alive in an age when it's not fashionable to do so," said former senator and presidential candidate Gary Hart, a longtime friend. "He's a voice of conscience." For House Minority Leader Nancy Pelosi, Hillary Clinton is the woman she met 35 years ago (2016) , a young mother cradling her infant daughter at a dinner party at the home of Hollywood activist Stanley Sheinbaum. The Council for a Livable World, founded in 1962 by long-time socialist activist and alleged Soviet agent, Leo Szilard, is a non-profit advocacy organization that seeks to "reduce the danger of nuclear weapons and increase national security", primarily through supporting progressive, congressional candidates who support their policies. The Council supported Hillary Rodham Clinton in her successful Senate run as candidate for New York. Clinton received $1837 in lobbying funds from Planned Parenthood in 2008. Clinton has been supported by EMILY's List during her campaigning. The 700,000-member International Association of Machinists and Aerospace Workers, one of the nation’s largest and most politically active trade unions, endorsed New York Democratic Senator Hillary Clinton for President. They also took the unusual step of endorsing a Republican candidate for the primaries, former Arkansas Governor Mike Huckabee. In January 2009, Clinton was nominated by the Obama administration for the position of Secretary in the Department of State and confirmed in January 2009. Kirsten Gillibrand had also picked up money from the Iran Lobby’s Hassan Nemazee. Namazee was Hillary Clinton’s national campaign finance director who had raised a fortune for both her and John Kerry before pleading guilty to a fraud scheme encompassing hundreds of millions of dollars. Nemazee had been an Iranian American Political Action Committee trustee and had helped set up the organization. Bill Clinton had nominated Hassan Nemazee as the US ambassador to Argentina when he had only been a citizen for two years. A "spoilsport Senate" didn’t allow Clinton to make a member of the Iran Lobby into a US ambassador, but Nemazee remained a steady presence on the Democrat fundraising circuit. Senator Hillary Rodham Clinton received money from the Iranian American Political Action Committee during the 2006 election cycle. 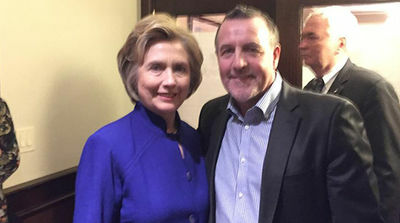 Former Secretary of State Hillary Clinton met with convicted Irish terrorist Malachy McAllister at the Clinton rally in New York April 2016. After the meeting McAllister stated, “She was shocked to hear that my case is still going on, that it hasn’t been settled,” McAllister told the on Irish Voice newspaper. She is one of many US influential figures to call for justice in the McAllister case. Irish American organizations are increasingly angry over the enforced deportation of a good and decent man who has been a valued member of the Irish community for over two decades. October 30, 2015, Hillary Clinton, Jesse Jackson, Caesar Mitchell, Butch Wing. ↑ Bernstein 2007, pp. 17–18. ↑ Brock 1996, p. 4. Her father was an outspoken Republican, while her mother kept quiet but was "basically a Democrat." See also Bernstein 2007, p. 16. This page was last modified on 13 December 2018, at 16:54.